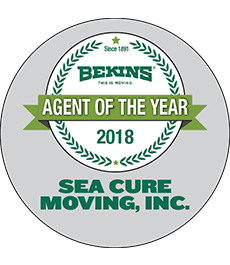 SeaCure Moving has been in business since 1981 providing New Jersey home storage solutions of household goods for thousands of families over the past thirty years. Whether you have furniture or important documents and valuables to store, rest assured that our expansive 25,000 square foot warehouse is capable of accommodating your needs. Our New Jersey home storage facility is protected against fire and theft for round-the-clock safety of your belongings. Your items will be vaulted for extra security, and SeaCure offers climate control that will see your sensitive items through the harsh New Jersey winters. Don’t delay any longer – as New Jersey’s home storage experts at we are waiting to hear how we can help. Call today for more information or fill out our quote form for a free quote today!